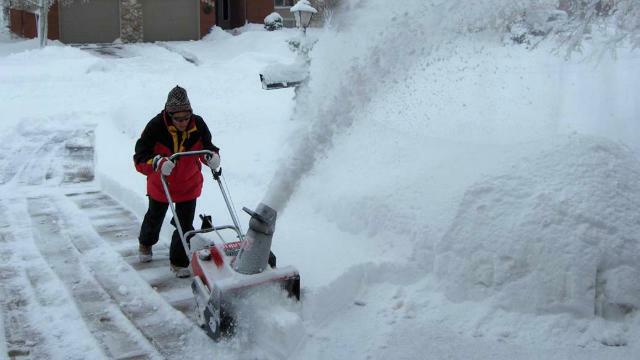 Why does it seem more pleasurable to snow-blow or shovel a neighbor’s driveway than one’s own? There are likely a number of valid responses to this somewhat less-than-rhetorical question. Motivations can be all over the map. In his book, Drive, Daniel Pink distinguishes between parts of our brain that are stirred by compensation or benevolence. But it is another book, The Anatomy of Peace by The Arbinger Institute, that moved me to snow-blow my next-door neighbor’s driveway this morning. This morning, after a beautiful, overnight winter snowfall, I fired up our snow blower and meticulously cleared our driveway and walkways. As I was finishing spreading a salt compound on our driveway, out of the corner of my eye, I saw my neighbor appear. She had a shovel in hand and she began to dig out her much larger driveway. But, having recently re-read The Anatomy of Peace (it takes me a few times through for things to sink in), I quickly recognized the futility of my self-justification. Instead of justifying my inaction, I obeyed my initial sense to help her. I pushed my snow blower into her driveway, waved off her protests, smiled, and aimed the snow blower into the heavy snow. An amazing thing happened. Within seconds, I was free and she was free and it was a pleasure to completely clear her driveway. What is more: I no longer felt hostility toward her. I no longer thought of her has strange, weird or silly. And, to be honest, I had to both wince and laugh at the wasted thoughts and futile feelings I had fed all this time. I still have no idea why she yelled at my boys, but, frankly, it no longer matters to me. She's one less person I'm in the box with. My heart is at peace with her. And that is one less burden on my soul. 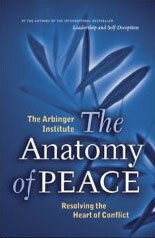 According to The Anatomy of Peace, this is one important way peace is fostered in our lives and in our world. All the time, we have a sense of the right and good thing to do to, for, and with other human beings and groups of human beings. Call it what you will—in my faith tradition we call it the prompting of Holy Spirit or self-giving love for neighbor—it is something all people experience routinely. But, we quite often ignore this sense. We let opportunities pass. We look out only for ourselves. We consume mindlessly. When we do, The Anatomy of Peace says we betray the sense and betray ourselves. When we to this, we begin to justify ourselves by projecting others we might have helped as less than worthy and, ultimately, less than human. We impugn them with undesirable qualities and cultivate varying levels of hostility and label them "the problem"—all in an effort to justify ourselves and our care-less response to them. We are said to be “in the box” with them. We get “out of the box” with people we have made into undesirable or despicable objects by re-humanizing them. And, often, we re-humanize others by obeying the sense of doing the right thing by them, however hard that might seem, whenever we have a second, third, or fourth opportunity. When we do the right thing by others, we see them in a new light. We also see ourselves in a new light. We may even begin to see the world in a fresh perspective—a perspective that is a little less burdened by our own petty self-justifications and mini-hostilities that barnacle our souls, a perspective that is a little more hopeful for peace and ready to take the small but critical personal steps to make it real in the world—at least the parts and people of the world we connect with today. Thanks for sharing. You shape my life in profound ways, Pastor Hay.